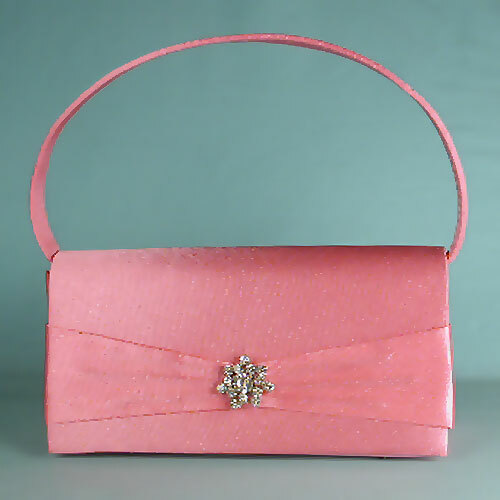 Satin rhinestone handle purse Satin handle purse with rhinestone ornament on flat. Also includes matching shoulder cord Color: hot pink Hue: Code: #FF6582. Measurements: width 6-3/4", height 3½", depth 2.